2015: 60th Anniversary of the Murder of Emmett Till? Who Was This Young Man, and Why Are We Still Talking About Him Today? 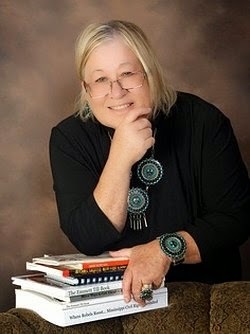 Susan has worked as a journalist on daily newspapers in Texas, Missouri and Nevada, and as an acquisitions and development editor for Prentice Hall Computer Books. She won state journalism awards for her investigative reporting on nondisclosed private/public partnerships in Missouri and received a Global eBook award for Who Killed Emmett Till. She wrote Abort! Retry! Fail! a creative computer book that was named an alternate selection by The Book-of-the-Month Club. 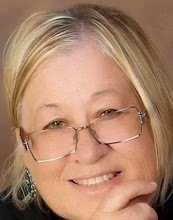 Susan Klopfer and her husband once lived on the grounds of Mississippi’s Parchman Penitentiary where Fred was the state’s chief of private prison psychologists. While there, Susan roamed the Delta, visiting older people in small cotton hamlets who’d lived through the modern civil rights movement (1955 to 1968). She became intrigued with this era, after learning new stories surrounding the murders of Emmett Till, Medgar Evers, Cleve McDowell, Birdia Keglar, Adlena Hamlett and others who were all key participants to bringing change in those turbulent years. Susan is a graduate of Hanover College in Communication and Computer Science, and Indiana Wesleyan University, where she received a Master’s Degree in Business Administration.